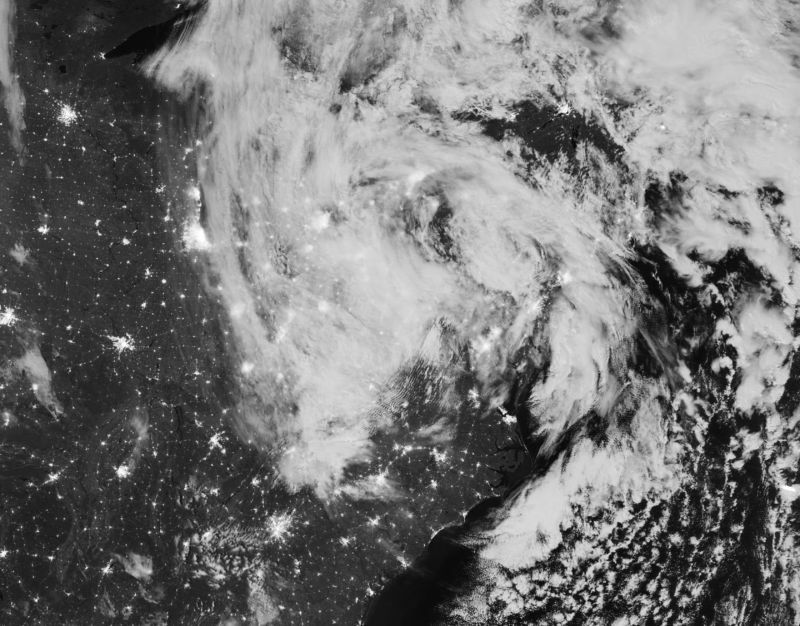 Enlarge / A fizzling Hurricane Sandy churns over the Northeastern US at night after making landfall in 2012. Every once in a while, a day comes along to remind you that weather is more than a trusty source of social lubrication for awkward elevator encounters. Severe weather can threaten property, homes, and even lives. If a statistically rare weather event happens to you rather than someone else, abstract ideas about low probabilities can become concrete, like the way the phrase “broken bone” means so much more when you’re wearing a cast. Climate is really just the probabilities of weather, so extreme weather is also the most attention-grabbing aspect of a region’s climate. 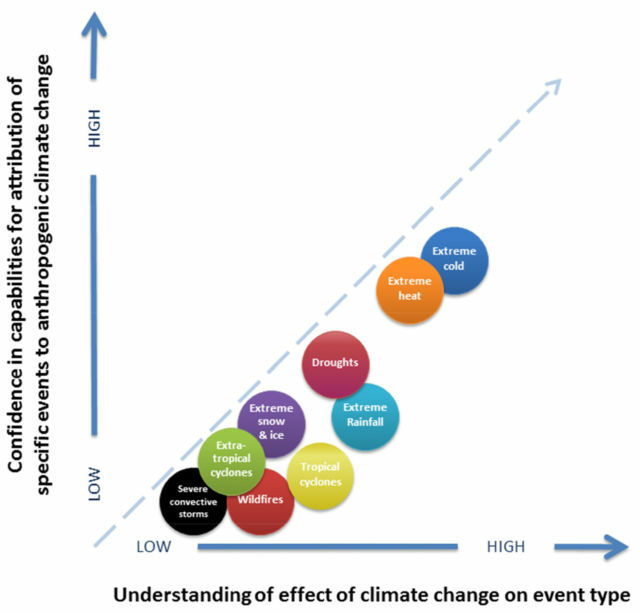 Thus, climate change includes a change in the probabilities of many weather extremes. As a result, each individual disaster now triggers a natural question: did humanity’s history of greenhouse gas emissions make that disaster more likely or worse? It’s an inherently complex question for scientists to answer and gives people who reject climate science rhetorical room to loudly argue that you can’t prove climate change was solely responsible for a storm. For any storm, that’s both true and completely irrelevant. Climate change’s culpability is not an all-or-nothing proposition. To make an analogy, the steroid molecule isn’t the one hitting the home run; the baseball player is. A baseball player who starts using steroids almost certainly has hit plenty of “natural” home runs in his or her past. But as their home run tally starts to accelerate, it would be foolish to get caught up in pedantic arguments about whether any particular home run would have happened in a steroid-free parallel universe. If a mundane player begins smashing home-run records, you know your sport has a steroid problem. Extreme weather almost always requires that a number of moving parts line up—you may need an unusual amount of moisture in the air at the same time that an unusual pressure pattern guides it in just the right direction. For an event to be extreme, it has to be rare to start with (otherwise you’d call it “normal weather”). So, by definition, it involves some unlucky coincidence. Climate change alters the conditions in which all these parts are moving. The changes could give the moving parts more opportunities to line up in nasty configurations, or they could raise the upper limit on what’s possible whenever they do. While extreme weather has always existed, some of the extremities will change as Earth’s climate warms. The task in front of climate scientists like Otto is to figure out which weather types have shown measurable shifts in patterns over the last century or so and to tease out the contribution of human-caused warming to those shifts. A number of scientific reports have summarized this research in recent years: the Intergovernmental Panel on Climate Change’s major 2013 report and a smaller 2012 report specifically on weather extremes, the 2017 US National Climate Assessment, and a 2016 report by the US National Academies of Science. Each report details what we can say about the observed behavior of various types of extreme weather. Although that sounds like a relatively simple exercise, it’s anything but. First off, you need a long-running record of consistently high-quality data for every type of event you want to talk about. That’s not a huge ask when it comes to daily high temperatures, for example, but records of tornadoes have improved a lot over the years, making apples-to-apples comparisons difficult. And sparsely populated or less-developed regions often lack systematic records going very far back. Earth-observing satellites gave us revolutionary views of things like hurricanes starting around 1980, making good records a relatively recent development. Because extremes can only be understood through the statistics of weather, you need several decades of data to even start thinking about trends. Satellites alone usually aren’t enough. All extremes are affected by natural weather variability—noisy wiggles in the data that make spotting a trend harder. Some wiggles are short, meaning they don’t take long to average out. But other natural wiggles tied to ocean circulation are longer—multiple decades, even. This means you need a longer period of data gathering before a trend can become clear. So even if there was a significant trend in every type of extreme weather, we wouldn’t be able to pick them all out with equal confidence. Sometimes gradual trends can be described with high confidence, while more dangerous trends have to be tagged “low confidence.” Scientific reports try to communicate all of these limitations, but they quickly make for dense and hard-to-read language. That can be a problem when “it’s all a hoax!” is universally a catchier (if utterly ignorant) slogan. Enlarge / Climate scientists are more confident about human-driven changes in certain types of weather than in others.